The newest "Forever" stamps issued by the US Postal Service feature an American Flag and the Statue of Liberty. There's one small problem though. 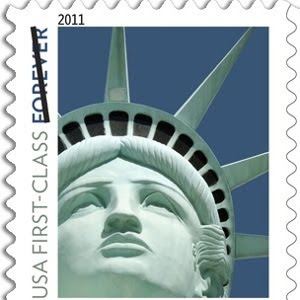 Instead of a picture of the original statue in New York, the Postal Service mistakenly used a photo of the replica statue in front of New York-New York hotel in Las Vegas.